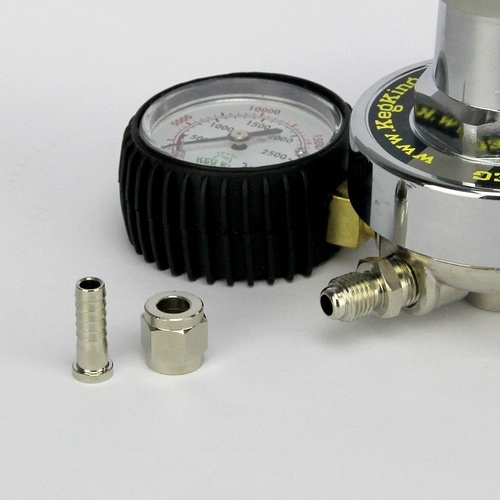 Do I use the nylon washer zip-tied to it AND the one that comes already installed on the shank of the regulator? Both at once? I received no instructions with mine. BEST ANSWER: Hi Darin - You will find the instructions at this site: (https://www.kegland.com.au/media/pdf/KegLand%20Regulator%20Servicing%20Manual.pdf). If you have any further questions or concerns please feel free to give us a call at 1-800-600-0033 or email us at info@moreflavor.com. I believe the zip tied one is an extra, and they are single use washers/gaskets. Just to clarify, the included nylon washer should be used with the fitting that attaches to a CO2 tank? BEST ANSWER: Yes you need to use the gasket or it will not seal properly and leak. Yes that is correct. That is one of my favorite regulators. 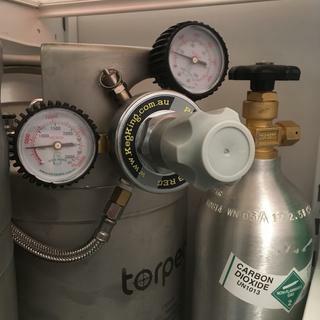 Will this tubing and ball lock work with a Torpedo keg and MKIII Dual Gauge CO2 Regulator? BEST ANSWER: Yes it should work, I have the same regulator and as long as barb is the right size it will be no problem. Nice quality. 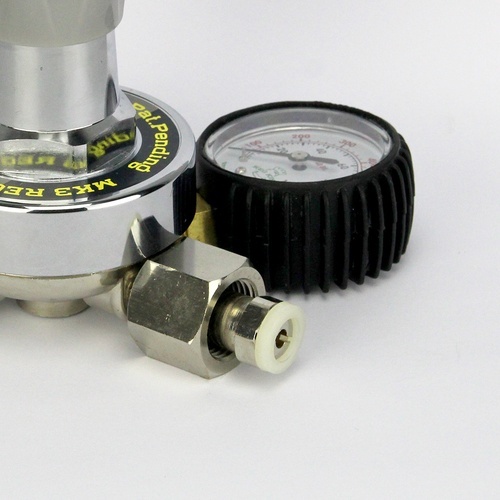 The regulator valve is very controllable. 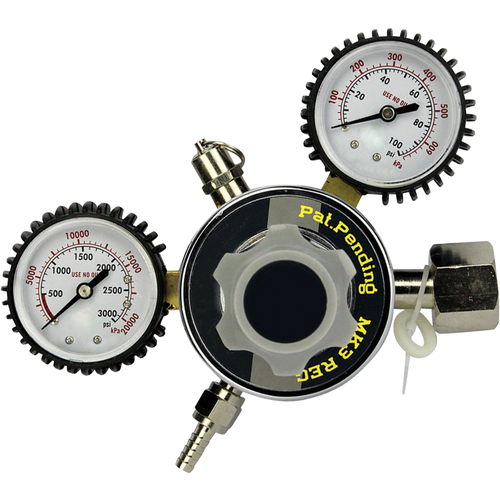 It does what it is supposed to do, but I personally would like a smaller scale on the out going gas to better dial in the co2 pressure. 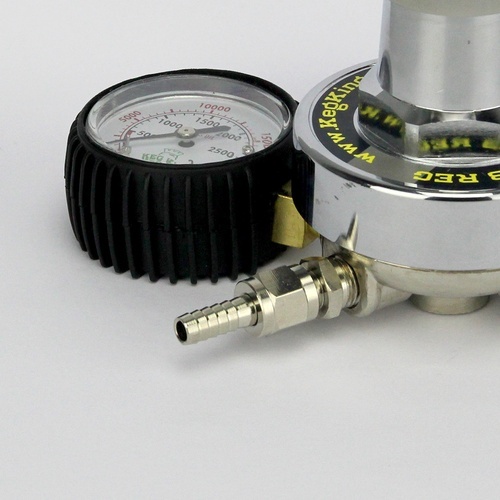 Great for a simple regulator. Great regulator for a simple setup. I use it with a pair of 2.5 gal Torpedo kegs and a 2.5 lb CO2, so the whole thing fits on the bottom shelf of my regular fridge. The one downside is there isn’t a back flow to prevent moisture or beer getting into the valve in the case of reversed pressure. Works great with my torpedo kegs for s compact fridge setup. After starting with a hand-me-down and purchasing 2 other regulators over the last couple years, I have finally found a high quality well made and hopefully long term solution. Time will tell on durability but I would recommend this to anyone looking to spend a few extra dollars to get a higher quality product. I love the new gauge, the only problem I had was I had to seal the gas out fitting with thread tape. I lost a bottle of co2. This regulator has worked good for me. Much better than the taprite that came with my complete keg system. I had trouble with the taprite after only one use and decided to give this a try. Based on my experience I would recommend this regulator. Working great so far no issues . Very well made product. Would definitely buy again.